only this time, we are treated to a lovely shade of deep oceanic green (no, they said oceanic green, not me)! 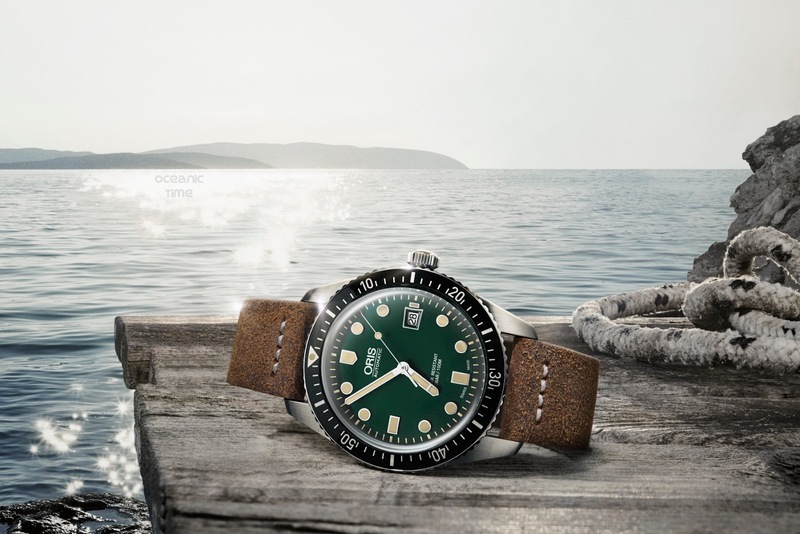 Introducing the green-dialled version of the Divers Sixty-Five with its 100m-rated, 42mm Stainless steel case; it follows the critically acclaimed blue-dialled version of the same divers model that was launched at Baselworld this spring, and like it, it comes with a choice of three straps and a steel bracelet. 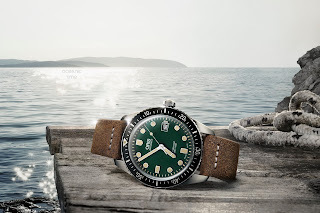 Like all the additions of the Divers Sixty-Five collection that was first revived in 2015, this new version is a direct descendent of one of Oris’s first diver’s watches, dating back to 1965. Thanks to advancements in scuba apparatus, the 1960s was a pioneering decade for diving - Jacques Cousteau and Hans Hass were among those who required reliable underwater timing-instruments. 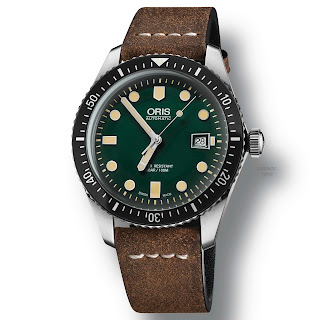 At that time Oris were one of the leading manufacturers of dive watches; it would be interesting to know if any of the legends mentioned above ever wore an Oris? 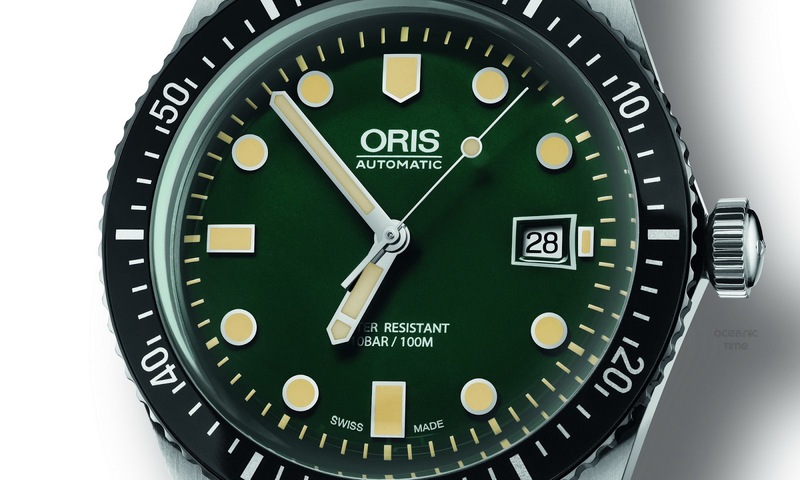 Today Oris have cleverly updated the look of the original watch, however retaining a number of its vintage design cues that include: its domed dial, slim line case, thin rotating bezel with 60-min. dive-time-scale, and its trapezoid date window. and the hands and hour markers are now filled with SuperLumiNova instead of the toxic Tritium that was used in the 1960s. Inside its multi-piece Stainless steel watch case is a Swiss Made automatic movement, the Oris Cal. 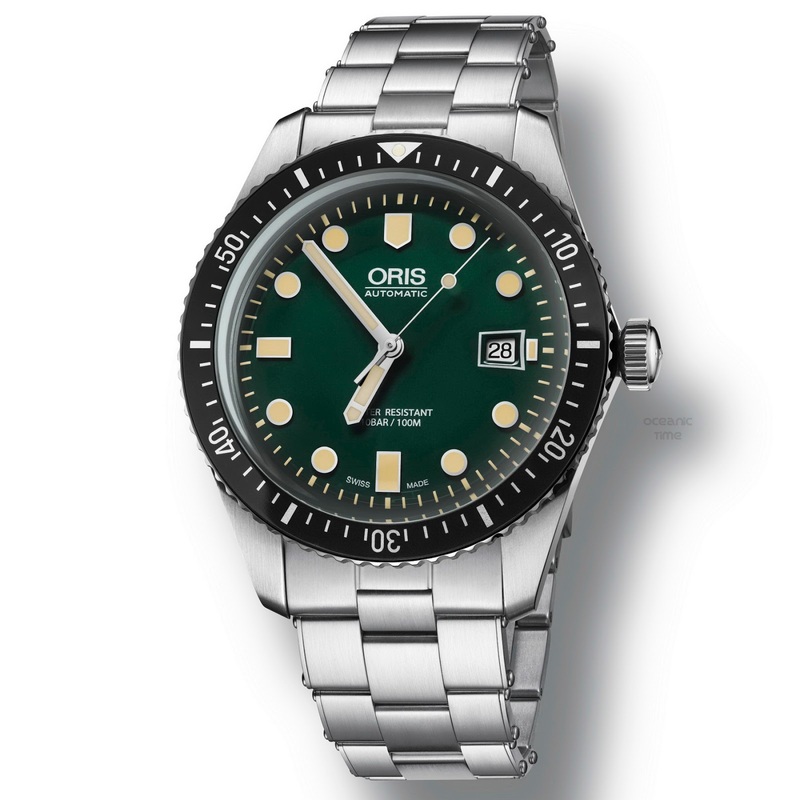 733, based on Sellita SW 200-1, with Oris red rotor and date at 3 o’clock. the distressed vintage leather strap gives the watch that ever-so desirable laidback comfortable look; but it’s the retro green and black NATO textile strap with its adjustable Stainless steel folding clasp that is likely to have the vast majority of us reaching for the tissue box to wipe the drool from our chops! 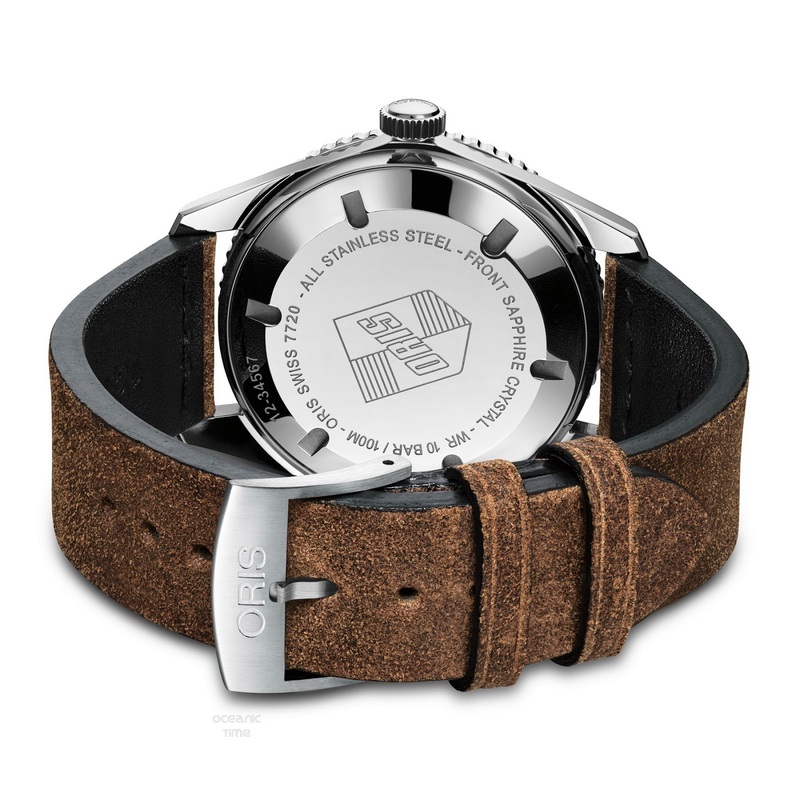 Finally to finish off the vintage them of the watch, its caseback has been engraved with Oris’s historic shield logo that was the emblem they used during the 1960s. The new Oris Divers Sixty-Five with its deep oceanic green dial adds yet another dimension to one of the watch industry’s most liked and talked-about divers watches of the last two years. It will be available from October 2016, priced 1900CHF on a strap or 2100CHF on a bracelet.